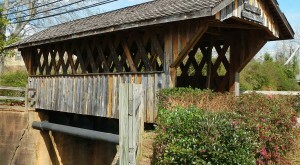 Tucked away in the tiny Alabama town of Natural Bridge is a rock arch formation, also named Natural Bridge. It’s INCREDIBLE! 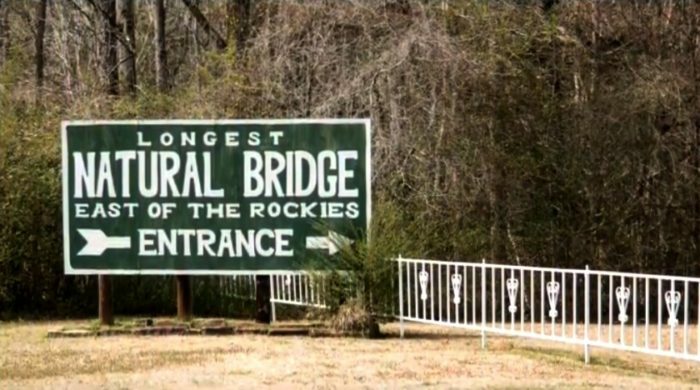 Measuring 60 ft high and 148 ft long, Natural Bridge is the longest natural bridge east of the Rockies. And according to geologists, this sandstone and iron ore bridge formation is more than 200 million years old. 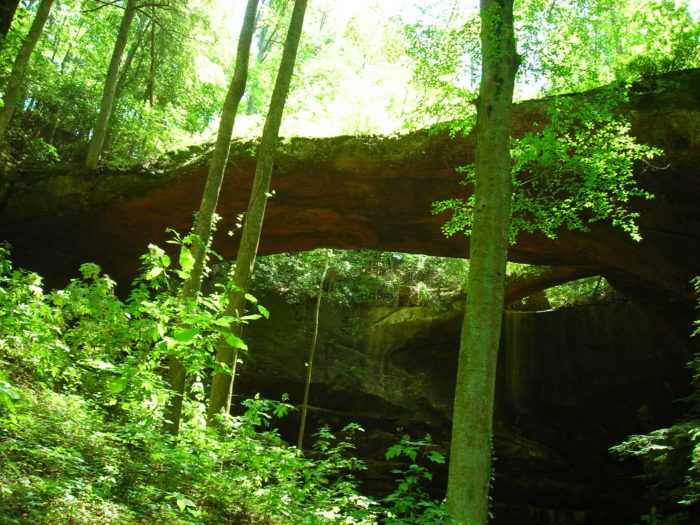 Based on historical research, it’s believed that Native Americans used Natural Bridge for shelter. 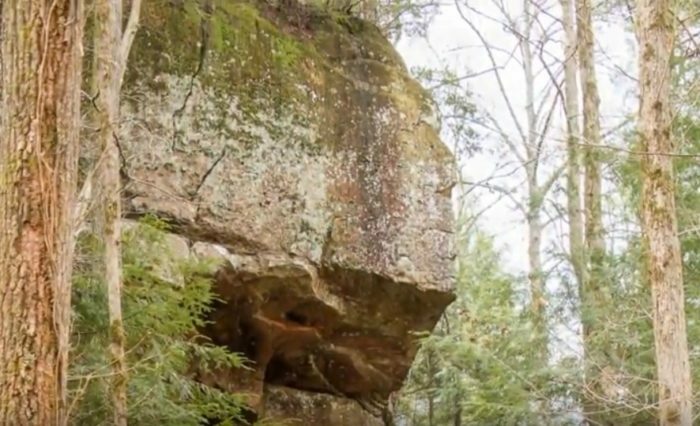 This could be the very reason why there’s a mysterious carving of an Indian head near the bridge. 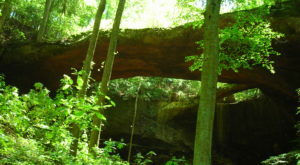 Natural Bridge is located in Natural Bridge Park, which has been open to the public since 1954. 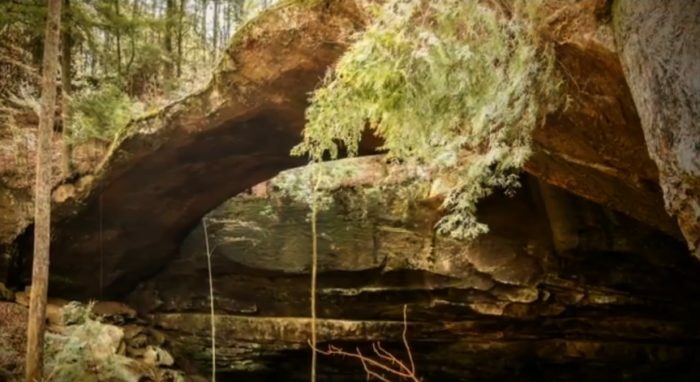 In addition to the bridge, Natural Bridge Park also features a 30 minute nature trail, 27 varieties of fern and many different types of hemlock that date all the way back to the Ice Age period. 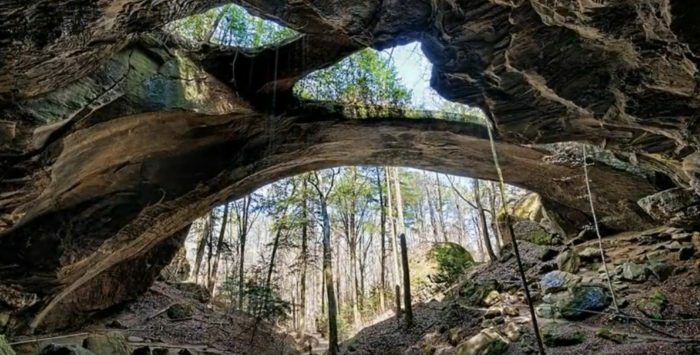 The next time you’re in the northwestern region of Alabama, specifically Winston County, take time to visit Natural Bridge. 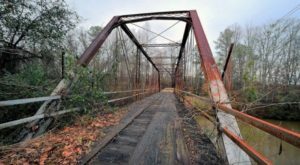 It truly is one of Alabama’s most magnificent hidden gems. 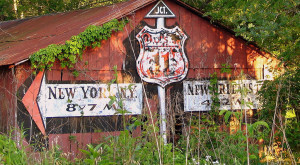 Every day from 8:00 A.M. until dusk. $3.50 (Adults), as of 2015. 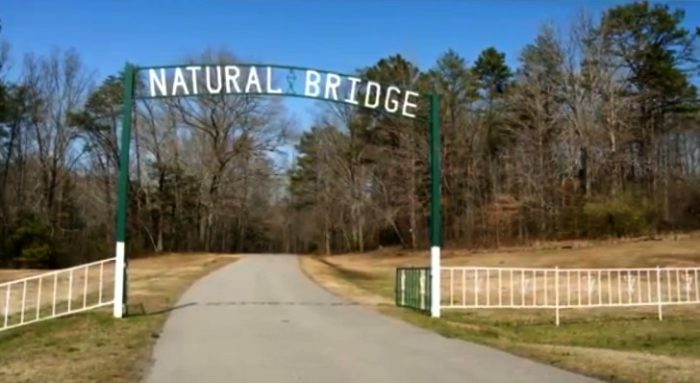 Note: You’re not allowed to walk across Natural Bridge. You can only view it from below.